So, we're a couple weeks into the conservation rules with Mesa Water and I was curious about a couple things. First, how are we - the collective "we" - Mesa Water customers doing with our conservation efforts? 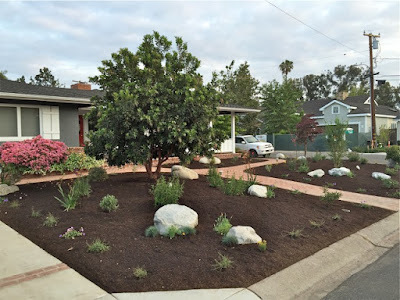 I have not received my water bill yet, so I don't know the impact of our recent replanting of our front yard. You will recall that the rules were provided to us on a postcard, shown here. The answer, according to Mesa Water sources today, is that we're doing pretty well. The Mesa Water staff has been out and about, observing and citing users where appropriate. We're so early into this process that, to my knowledge, nobody has yet been fined - but that is very possible. The staff reminded me that we ARE allowed to HAND WATER our fragile plants ANY day of the week as long as we use a device that automatically shuts off when you release pressure. I bought one for $10.00 at Home Depot. 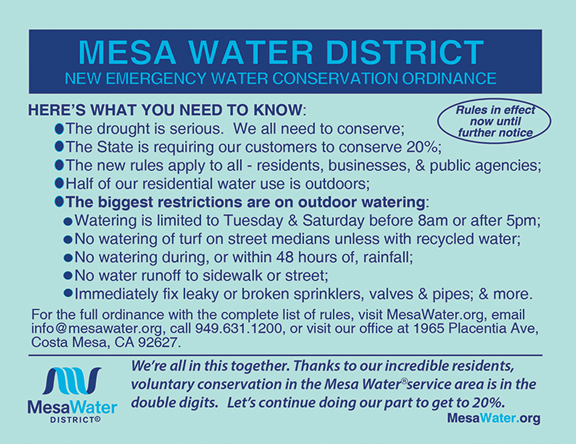 You can find more information from the Mesa Water web site HERE. Also, the Turf Removal Rebate Program was recently re-funded, so the good folks at Mesa Water can help you with that. Call them at 949-631-1200. WHAT ABOUT CODE ENFORCEMENT AND BROWN LAWNS? All landscape/lawns do not need to be green. All landscape/lawns must be kept in a trimmed and neat manner. If the landscape/lawns deteriorates to bare dirt, alternative landscape should be considered. Additionally, an informational flyer will be included when addressing any landscape complaint. This flyer lists the City’s approved landscape ground cover and alternative landscape materials as well as contact information for the Costa Mesa Water District in regards to their list of low water tolerate plants and their Turf Removal Rebate Program. In addition, he provided a link to a flyer that explains in greater detail the City's position. I've provided an image of that flyer below. Click on it to enlarge it. 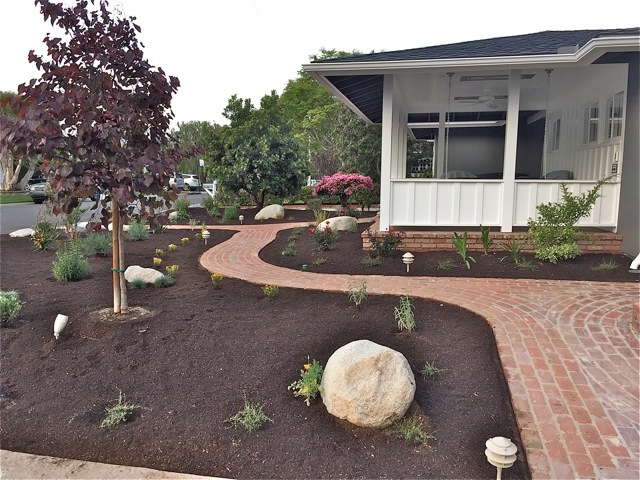 MULCH, ETC., AND ARTIFICIAL TURF? Basically, they want you to replace grass with bark and mulch; decomposed granite or gravel and all of the above must be combined with vegetation. 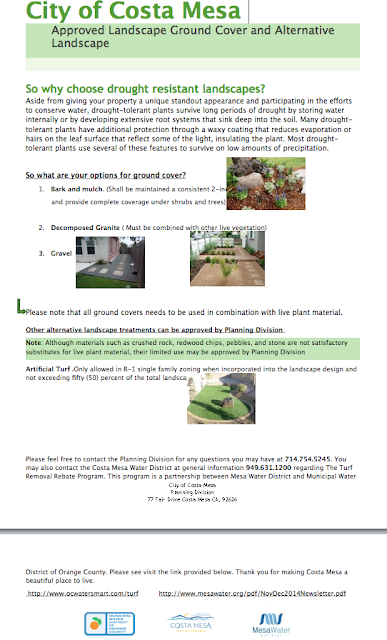 The flyer also addresses the subject of Artifical Turf, which we're told is only allowed in single family zoning (R-1) when incorporated into a landscape design and does not exceed 50% of the total landscape. Call the Planning Division if you have questions at 714-754-5254.